Some New Things for my Room! I recently picked up some new items for my room! I also haven't done a decor post in ages so I wanted to update you guys! These three boxes are so pretty...my fiancé got them for me in Meadows & Byrne. They were only €18 for the whole set! I'm using them to store things like my press book and palettes. 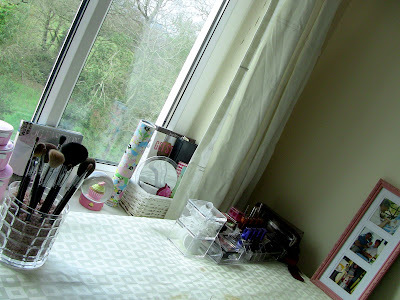 Beside the set you can see the tin I got from the Italian Shop...I'm using it to store all my eyeshadows at the moment! The picture of Albi was a Christmas present from my mom (this was before we got Sina!) and the vanilla candle is from Debenhams. My fiancé also got me this glass vase which I'm using to store my brushes in, as well as the pink stones all from Meadows & Byrne. The vase was actually really affordable, only about €5 and I got 2 tubs of pink stones for €2 each. 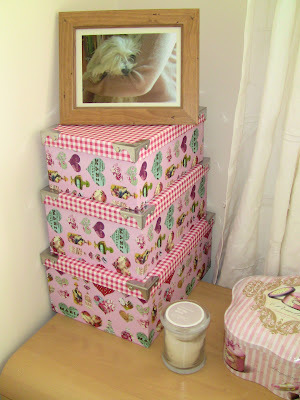 I haven't hung this yet but I picked up a pink frame in TK Maxx last week which I really wanted because I needed something for exactly three photos. I think this was about €20, kind of expensive but it's really pretty! 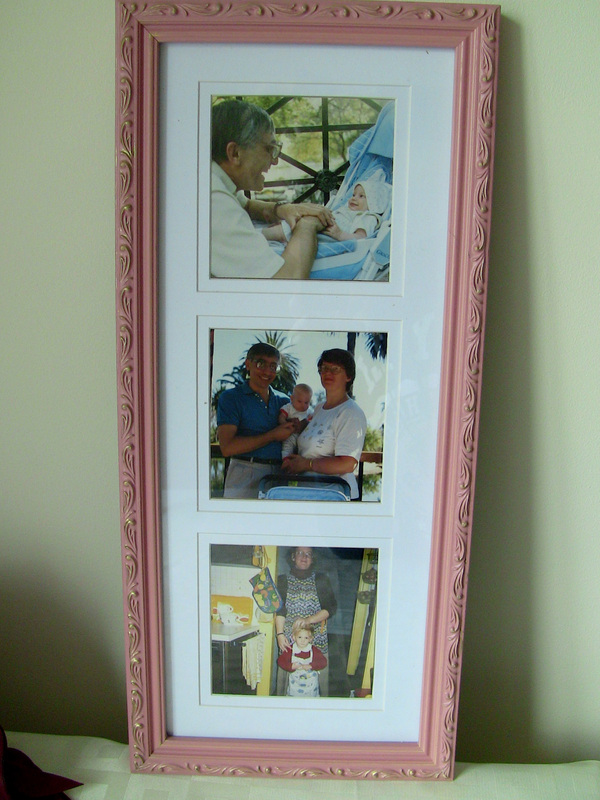 I put one picture (in the middle) of me with my parents, one of me with my dad and the other with me and my mom. Here is what my vanity looks like at the moment! I also moved my cushions to the other side of the bed...I didn't like how you could never see the in my videos, hahaha! My plan is to get more and have them on both sides kind of like a couch. 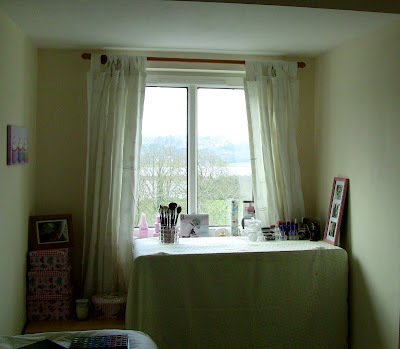 This is the full view of my window and vanity...did you notice I got curtains too? Haha, finally! They're not new, they're actually the same as the ones in our bedroom...they came with the house and I found them in Jonathan's study because he swapped his out with black ones. (He's not a pimp or anything, he just needs to be able to achieve total darkness when he's working...LOL). So that's what I've done so far with my room! It's a slow process but it's getting there! It's always difficult when you're renting and you don't have your own furniture but I'm happy with how it looks right now...the furniture we were given is pretty neutral and easy to work with so it's not so bad! I like it! It's beautyful en girly. Lovely boxes and how thoughtful of Jonathan to pick those up and the vases, you've trained him well lol, he has a good eye. I noticed the Italian tin straight away, it's gorgeous. Aww the pic frame is perfect for those precious photos. 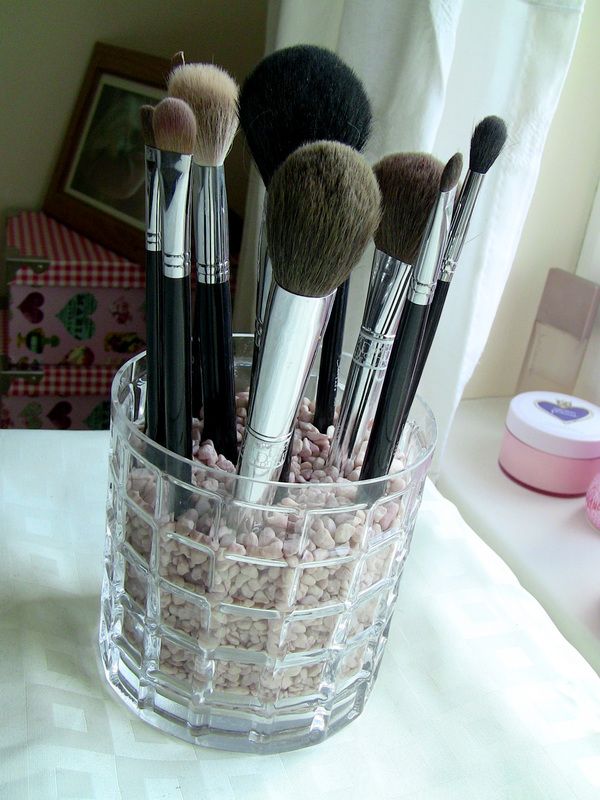 I'm on the lookout for some nice vases containers for my brushes, at the moment I use pretty containers that gift sets/perfume come in and I finally found some use for the blues glass pebbles I was given many moons ago to put at the bottom. Your vanity is remarkably uncluttered compared to mine! Aw how precious is that picutre of you in the baby chair, you were just a beautiful baby (the first one with your dad)! Beautiful storage! @Diane Thanks so much love! I was actually there to assist Jonathan although he does have a pretty good idea of what I like so we often end up picking out the same things...haha :) Yes, check out Meadows & Byrne vases if you can...or if you have one near you I was surprised by how affordable they were! Very nice! I'm still so in love with your pillows. It's looking quite green outside your window as well. I'm jealous, because it's snowing here right now. I am going to have to use the stones in the vase idea. Thats so handy and pretty! Mine are just stowed away. Love the picture frame... I love collect random frames and having them displayed all over one wall. Love the room looks really relaxing. Haha, I was reading this lovely decor post and then "He's not a pimp" pops in there!! So funny. 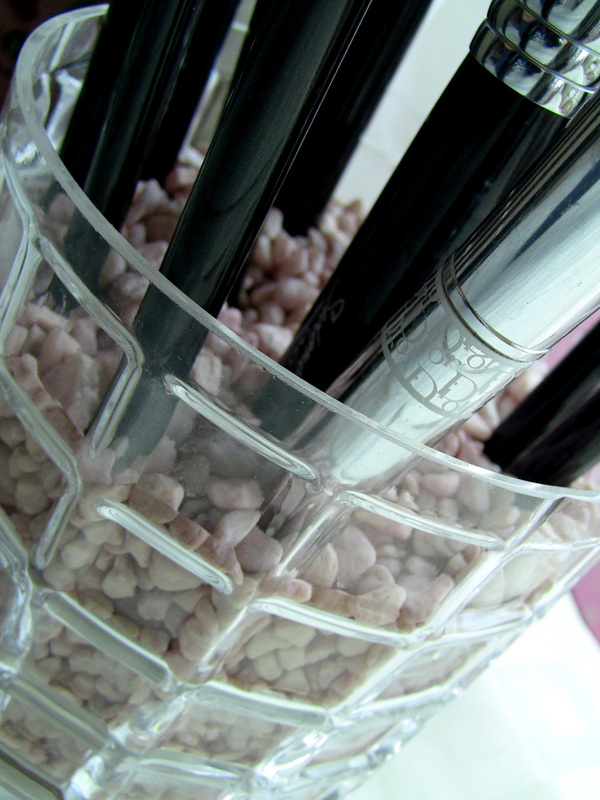 love your box for brush to make up ! Great idea for the brushes! I love it when people think outside the box for their decor. That's such a great idea for storing brushes! Looks fab too! @GlamTania Thank you! :) Me too! 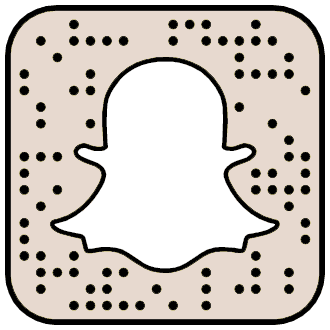 @Make It A Tag Thank you! Your frame wall sounds like an amazing idea! 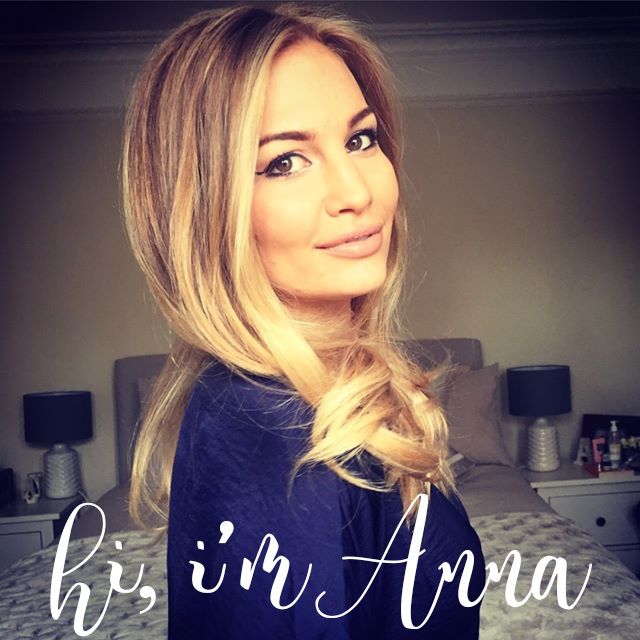 @LibbyLovesBlogging Yes! 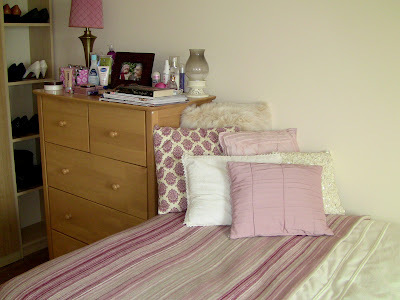 And it's nice to have my own girly room to celebrate pink...hahaha! VERY NICE ! YOU ARE GREAT !! You and Jonathan don't share a room?